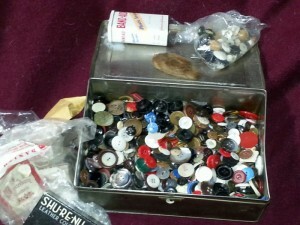 I have my Grandmother’s button box. Most women saved buttons back in the day, back when people counted every penny and certainly didn’t want to spend any extra on something like a button. 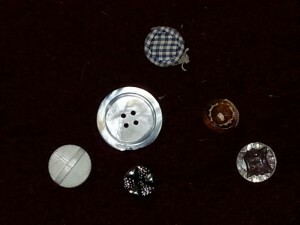 Buttons were salvaged from clothes going to rags, buttons found, buttons saved when a coat made shorter, buttons for shirts and pants, dresses and baby clothes. I know my Grandmother Pauline Marshall must have counted every penny as she raised her children on her own, after my Grandfather’s untimely death. 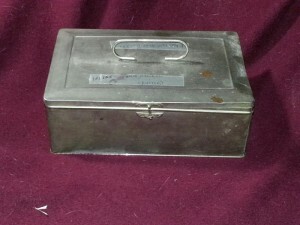 There is a seed to a family story in this box, maybe a couple of stories. I opened it this morning looking for a button to replace a missing button on a pair of pants. Inside there are all kinds of buttons! The old Band-Aid box was full of yellow buttons (Grandma was organized). A bag had some really old buttons, a box had coat size buttons. 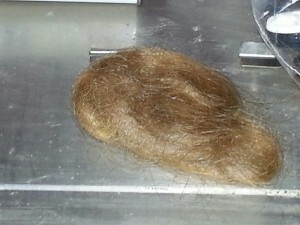 Then there was another item, do you see it there? 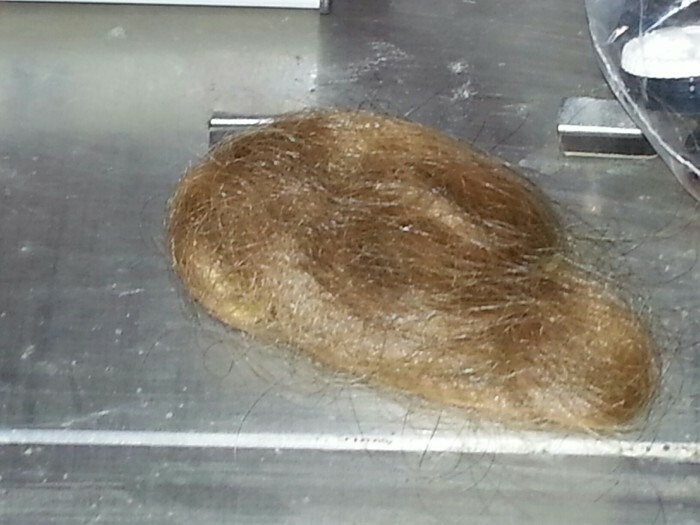 There in the box with all the buttons is a lock of baby hair. I am certain this was my father’s baby curls saved once a very long time ago. How sentimental and sweet, I can picture my Grandmother opening that box 1000 times to do mending and looking on the curl of that baby boy. All the years he was growing, all the years he was a man, even when he had children of his own, she still could look back and remember. Here is a picture of the curly headed boy with his half sister Blanche. My Grandmother had a tough life I think. 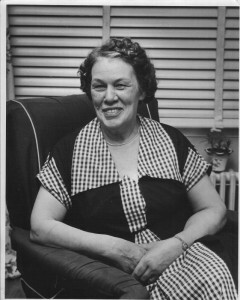 She came to the United States as a young girl to work in the mills, leaving her Nova Scotia home forever. This little remembrance tells me how much she treasured that short time of my Dad’s babyhood. It is amazing that it has survived so well, but the button box isn’t disturbed as often anymore. I think I will be more careful of saving buttons, Grandma was a pretty smart lady and by the looks of the buttons she saved was fashionable too. 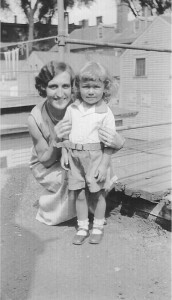 I’ve learned a lot this morning about my Grandmother, she was thrifty, sentimental, stylish and practical. 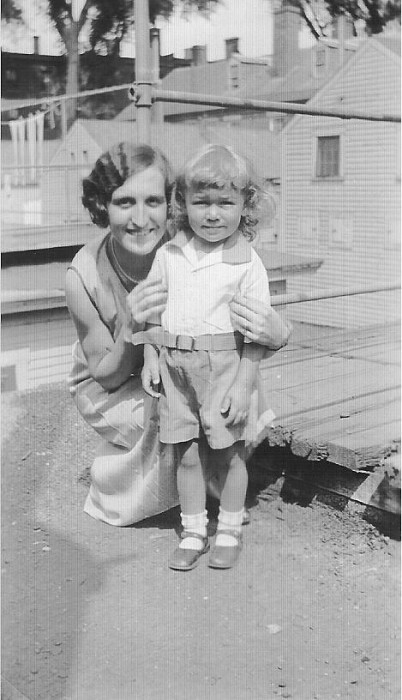 Pauline Tine ( Valentine) Allen was born April 24, 1896 at Port Greville Nova Scotia, Canada, she died in December of 1975 in New Hampshire and was still a spry lady, she could walk the feet off my father when he went to visit her and take her downtown. What did your family save? How did they get by in hard times? 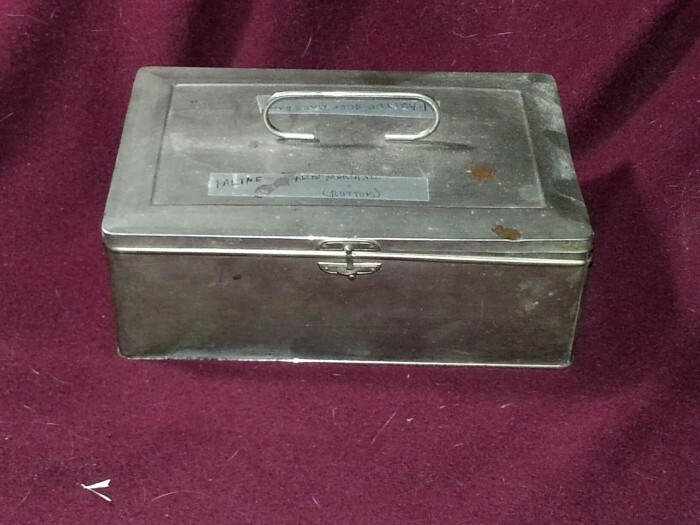 What mementos of bygone days are waiting to be rediscovered and become a family story? I hope this seed to a family story will introduce my children and grandchildren and my niece and nephews to the Great Grandma they never got to meet. She was a great lady, hard working, incredible cook and a saver of buttons!